“Why would you ever come to Luxembourg? 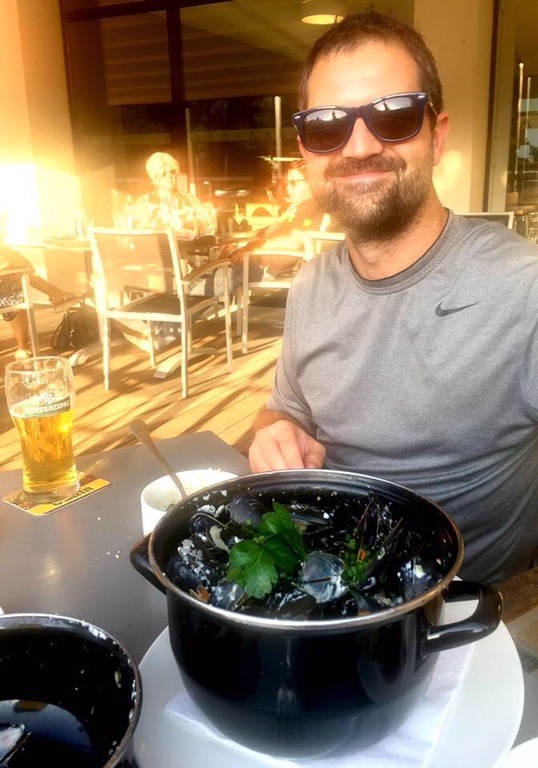 ?” Asked our server, Oana, with a bewildered look. Oana was our favourite character of the trip so far. She was helpful, pushy, brutally honest and one of the best servers I’ve ever come across. She worked the whole restaurant by herself; this place called Bananas, right off the main square that sold delicious luxemburgers and huge portions of more traditional national foods, and yet still had time to chat every time she walked by. And despite the fact that she had no idea how children react to Dracula, we still loved her. However, our views of Luxembourg differ slightly. We found Luxembourgers to be very accommodating, and the city was wonderful: except for the hills. 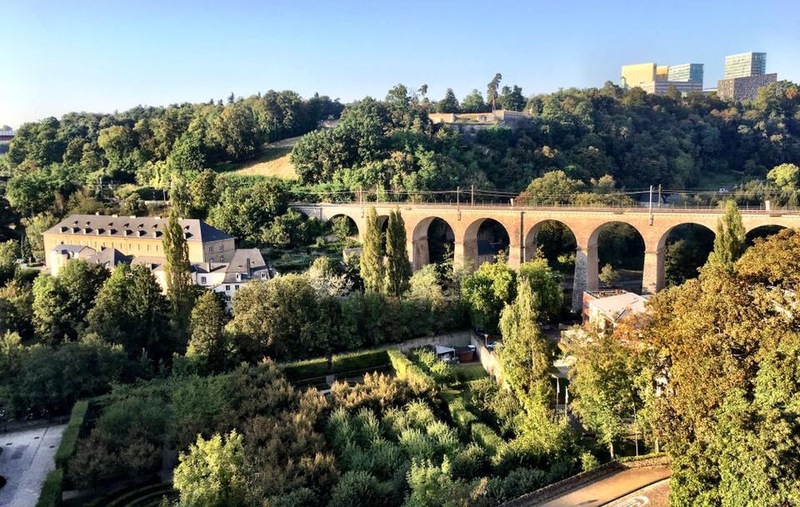 Everything in Luxembourg City is built on a hill. Buildings are either on the side of a hill, or in a hill, or at the bottom of a hill, or at the very tip top of a hill. It’s exhausting. Luxembourgers must have the most amazing calves in all of Europe. But the hills and valleys of the cityscape make for some gorgeous photos, and, as we learned, some excellent high ground for defending the city from attackers. One of the top city sights in fact is the system of underground tunnels that were built to defend the old town that sits on the hilltop. 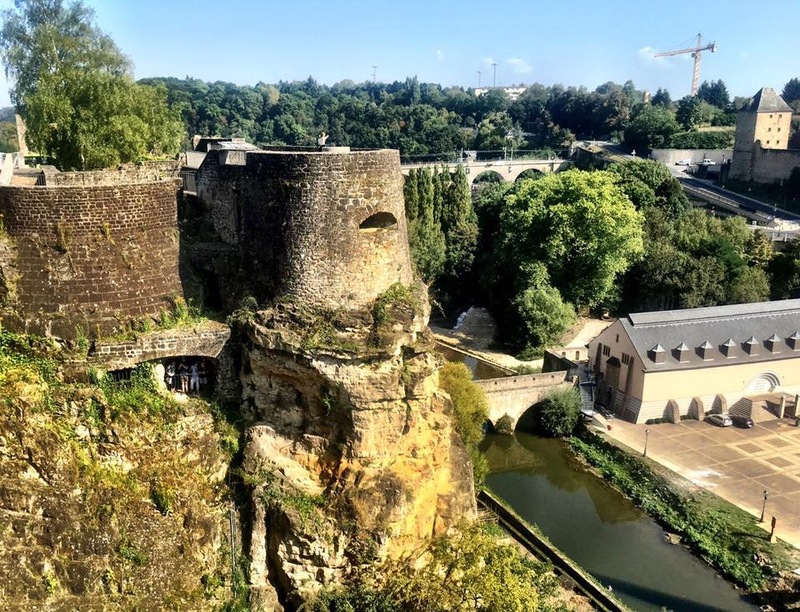 These “casemates” are built into the city’s natural slope and contain over 40km of tunnels. The casemates have evolved and grown more complex in the previous centuries, but only a few kilometres are available for tourists. The history is confusing. It seems as though every nation in Europe had at one point manned the area against external forces. Personally, I found the casemates to be the perfect escape from the midday heat and a wonderful spot for photos of the Grund (the lower, “ground” area of the city). 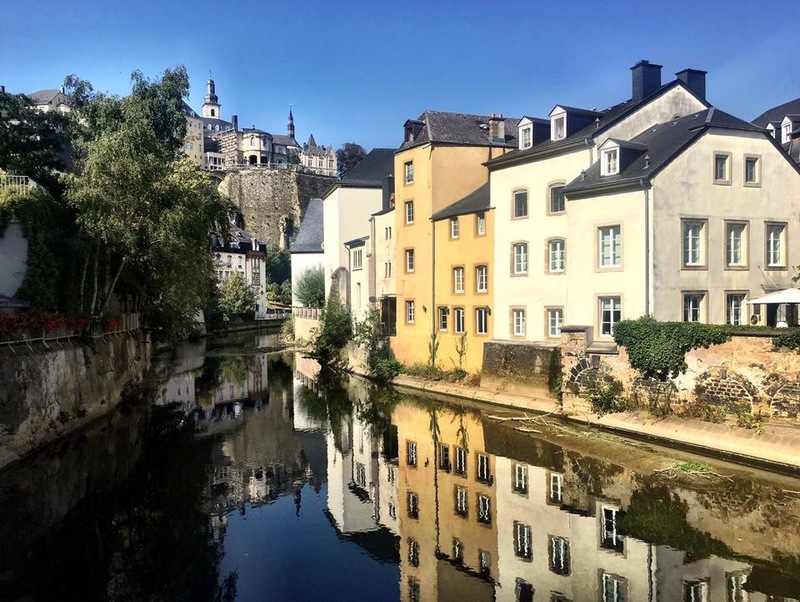 The Grund was actually my favourite part of the Luxembourg. Nestled in the valley below the Old Town, the Grund was just a few square blocks surrounding a quiet little river. The area was full of lively restaurants and quaint hillside gardens. 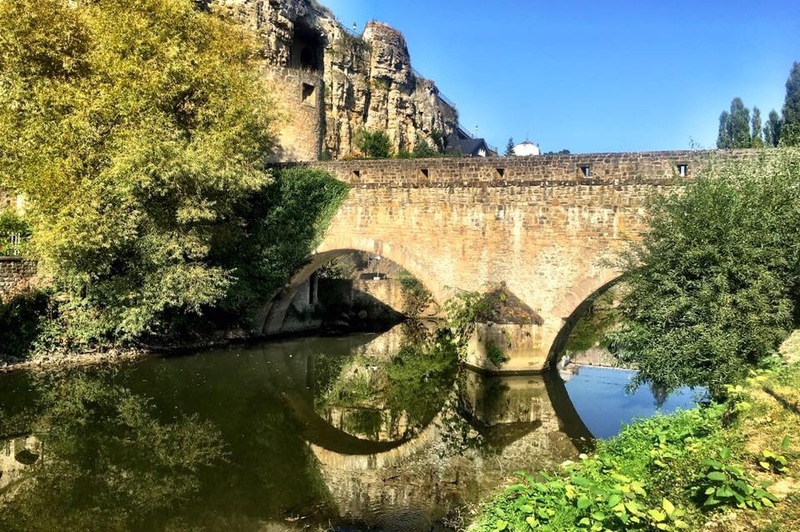 Stone, Romanesque bridges allowed people on foot to cross the river and look back at the cliffs that hold the labyrinth of underground fortifications. At night, the whole place is lit up with spot lights and the cliffs glow in a warm amber tone. We found a small pub on the riverside that served thirst-quenching Belgium beers and had enough room for 5 people to sit out on the small patio in the back. We sipped on the beer, hanging over the riverside and staring up at the ominous cliffs above us. 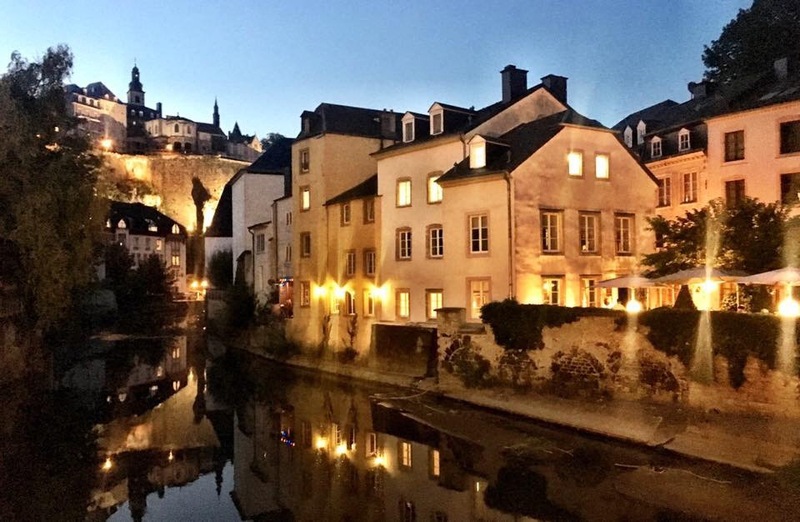 I could get used to lazy evenings in Luxembourg. It is the perfect way to relax after the hustle and bustle that Paris brings. 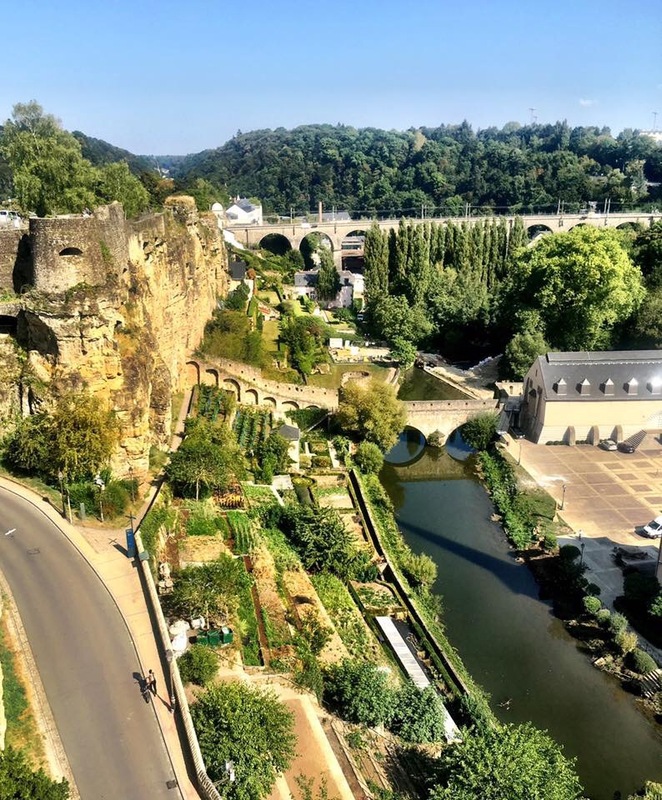 This entry was posted in Europe, Luxembourg and tagged Casemates, Europe, Grund, Luxembourg, Luxembourgish, Oana, Travel by hilarylust. Bookmark the permalink.